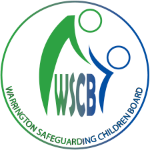 Warrington Safeguarding Adults Board (WSAB) helps to make sure that safeguarding arrangements in Warrington and strong and sustainable. The board also makes sure that partner agencies act together to help protect adults at risk. Serious situations where someone is in immediate danger or at risk of harm report the matter to the police by dialling 999. If you witness, suspect or have concerns that a vulnerable person is being abused it is your responsibility to report it.